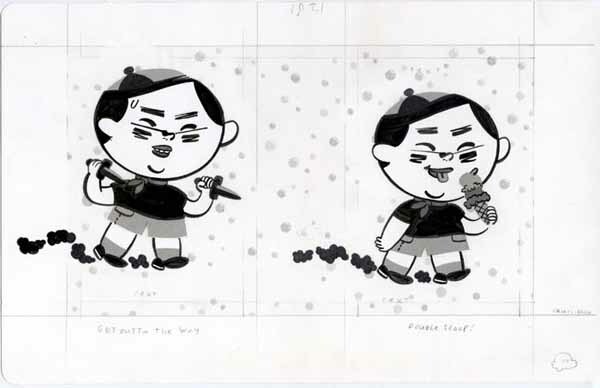 original drawings from Stinckers series 16:4 and the Fantagraphic book, CHOCOLATE CHEEKS. Pencil, ink and screentones on Strathmore Bristol paper. @ 7 x 11"